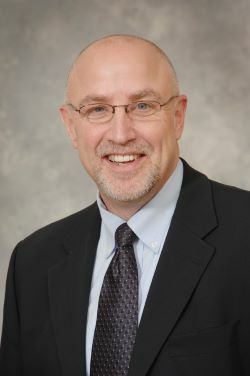 Tim Putnam is the Director for the North Iowa Area Community College John Pappajohn Entrepreneurial Center. The center offers comprehensive entrepreneurial training and consulting for entrepreneurs, small business owners, communities and students. Tim has led presentations and workshops on entrepreneurial education, creating an entrepreneurial community, creating a community angel fund, and small business development at both state and national conferences. Current areas of focus include developing new businesses, entrepreneur mentor program, Midwest Educator’s Forum on Entrepreneurship, business plan competitions, funding for new business startups and regional economic development through entrepreneurship. Tim was an Area Coach with Pizza Hut of America, Inc., leading sites across the Midwest. Tim is Current Board President of the Mason City YMCA, Past board member for the Center for Rural Entrepreneurship and Mason City Blue Zone Power 9. He is a co-founder of the Bicycle, Blues and BBQ Festival and serves as the festival director. He is a Fellow for Community Outreach for the National Association for Community Colleges for Entrepreneurship. Tim has a BS in Business Administration from Kansas State University and a Master’s in Public Administration from Drake University. He served in the Army National Guard from 1986 – 1996. Tim and his wife Kelly reside in Mason City. Throughout the years, the YMCA have been part of their daily life. Dr. Timothy Weber was born and raised in Waterloo, Iowa. Tim attended The University of Northern Iowa where he received his bachelor’s degree in General Science. He completed his dental training at The University of Iowa College of Dentistry. Tim currently practice as Drs. Weber & Otto Family Dentistry in Mason City and Nora Springs, IA. He has spent countless hours in support of Newman Catholic Schools including chairing the annual God’s Portion Day. He is a member of the St. Joseph Catholic Church, American Dental Association, Iowa Dental Association (Trustee), Seattle Study Club, Newman Catholic & Mason City Booster Clubs, National Federation of Independent Business Owners and the Mason City Chamber of Commerce. Dr. Weber and his wife Bev reside in Mason City. Bev has enjoyed being a teacher in the elementary school located in Nora Springs for many years. Together they have four sons (Shawn, Mark, Thomas & Alex) and two daughters (Mikan & Lindsay). Terry is the Senior Information Service Director at Mercy Medical Center North Iowa. 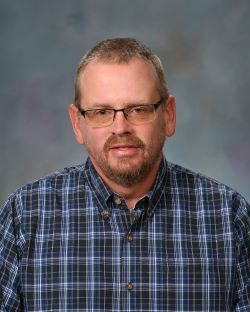 He holds a Master's in Public Health Administration from Oakland University, as well as a Bachelor's of Science Degree in Industrial and Environmental Health Management from Ferris State. 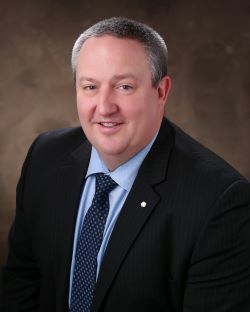 While he has held many title's throughout his career, including Vice President of Healthcare Operations and Six Sigma Master Black belt, Terry has been dedicated to and takes great pride in developing people, improving operations, as well as delivering services that promote the health and well-being of the communities he's part of. He has served in various roles with the YMCA, including Board President and received the Willis O. Patton Leadership Award in 2017. Terry and his wife Dawn moved to Mason City in 2014, where they joined the YMCA and fell in love with the people/community of North Iowa. The have four grown children and love the outdoors, biking and traveling. Mandi graduated with a BA and MFA in graphic design. She taught at the Art Institute of Colorado for 2 years, before starting her own software training business. She started Visual Persuasion (Adobe Software Training) in 2009, and sold it in 2015 after moving back to Iowa. Mandi still takes on freelance graphic design projects, but now works primarily with her husband as a real estate entrepreneur. Her focus is analyzing the numbers on potential real estate purchases, and marketing. She also has her real estate license. Mandi currently serves on the Board of Directors for the Mason City YMCA, the Clear Lake Arts Center and the Mason City Pickleball Club. Mandi grew up at the Mason City YMCA, and worked for the organization as a lifeguard and swim instructor throughout high school and college. Her YMCA experience has come full circle, as she now brings her daughter to the ‘Y'. Mandi enjoys spending time with her family, traveling, running and playing pickleball. Pat is Vice President of Ag and Business Banking for Clear Lake Bank & Trust. Pat has more than 30 years of banking experience across North Iowa. 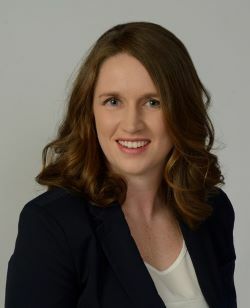 Pat is a graduate of Iowa State University with a Bachelor of Science in Ag Business. In addition to the YMCA Board Pat also serves as the Treasurer for Mason City Meals on Wheels, is a member of the Epiphany Parish Council, serves on the Cerro Gordo County Compensation Board, and volunteers for a number of other causes. Pat also served on the YMCA Board and was Board Chair, in the late 1990s. Pat, his wife Cinda, and children Marco and Isabelle reside in Mason City. Bill is a native of Mason City, Iowa. Graduated of Mason City High School in 1986. Attended NIACC and received his AA degree in 1988. Graduated from UNI with a BA in Social Work 1990. In addition, Bill earned a Business certificate from DMACC and a Nursing Home Administrator License in 1992. 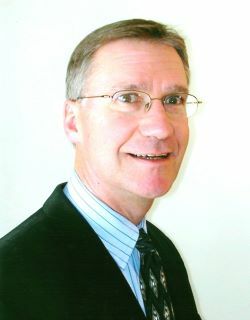 Bill was hired as Assistant Administrator at Good Shepherd in Mason City from 1991 to 1996. From 1997 to 2017 Bill served as Administrator for the ABCM Corporation overseeing Independent & Assisted Living and Rehabilition Centers in Nora Springs and Elma, IA. Mary is a native of Mason City. Mary’s family have been YMCA members since the 1980's. She received her undergraduate degree from Iowa State University and her Physical Therapy degree from University of Iowa. Mary has worked in a variety of Physical Therapy positions including the Program Director of the NIACC Physical Therapist Assistant Program and Aquatic Therapy in the Y therapy pool. Mary presently works part time as an outpatient Physical Therapist for Mercy One Rehabilitation. Mary serves on the MacNider Art Museum Board and The Children's Theatre Foundation. She plays flute in the New Horizons Band and the North Iowa Concert Band and plays in Bell Choir at church. She enjoys swimming, biking and running and has participated in a variety of races, including completing an Ironman Triathlon in 2013. Mary and her husband Rusty live in Mason City. They have three grown children and have enjoyed raising their family in Mason City and being part of the community. A long time resident, Steve has lived in Mason City since 1989 and a member of the YMCA since 1994. Steve has returned to the Board and is a past President of the Mason City Family YMCA. With a passion for the YMCA, Steve has coached youth basketball teams and participates in morning Boot Camp. He is a strong believer in the impact the YMCA creates throughout our community. Steve is an Agent/Owner at Edwards-Brandt Insurance. Steve and his wife Carleen reside in Mason City and have two sons. Bob is the Owner of Genesis Enterprises and Hospital & Health Care Consultant. Bob has over 25 years of professional hospital/clinic administration including the last 11 years in interim Administration and Consulting services to a variety of healthcare clients on a contractual and/or project basis. Bob received his MBA from University of Iowa in 1989. Bob resides with his wife Joanne in Mason City and is active with River City Morning Kiwanis. Brad is the Principal of DeVries & Price PC in Mason City. Received his B.B.A. from the University of Iowa in 1972 and his J.D. from the University of Iowa College of Law in 1982. Admitted to the Iowa State Bar in 1982. President, District 2A Bar Association, 1984-1995. Member, Judicial Nominating Committee, Second Judicial District, 1994-2000. Member, Iowa State Bar Association Board of Governors, 1999-2004. Member of the Mason City Family YMCA since 1982. Past President of the YMCA Board and has been on the Board at various times from 1984 to the present. Member YRC Board of Directors. A Native of Clear Lake where he continues to reside with his wife. He has three grown children. He loves sailing, hockey, the Iowa Hawkeyes and the YMCA. Pete Roth grew up in West Des Moines and graduated from Dowling Catholic High School. Pete has a BS degree from the University of Iowa and a master’s degree in Public Administration from Drake University in Des Moines. Pete also completed the Northwestern University Center for Public Safety’s School of Police Staff and Command (SPSC) in 2005. Pete was sworn in as the Clear Lake Police Chief on August 3, 2015. Prior to coming to Clear Lake, he was a Captain with the University of Iowa Police Department and worked at the Clive Police Department. Pete currently serves on the executive board of the Iowa Police Chiefs Association and is an active member of the Clear Lake Rotary Club. At home, Pete is married with two children. He loves spending time with his family, volunteering at church, reading, and is an avid fan of the Kansas City Chiefs, the Atlanta Braves, and the Iowa Hawkeyes. Steve is a “Native Iowan” having grown up in Muscatine, Iowa. Graduated from Iowa State University in 1998 with a BS in Construction Engineering. Upon graduation, Steve joined Henkel Construction in Mason City, IA. Steve is currently the Vice President of Pre-construction Services at Henkel Construction. He currently resides in Mason City with his wife Molly (who he met at the Y) and two kids. Nancy Wiltsie was born and raised in Prairie du Chien, WI. She graduated from the University of Wisconsin-Madison with a BS in Elementary Education. 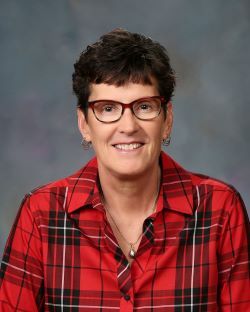 Nancy spent her entire teaching career in Mason City teaching at both Harding Elementary and Lincoln Intermediate School. After 34 years in the Mason City Schools district, Nancy retired in 2017. Nancy is an active volunteer in the community working with Main Street Mason City and serves on the Board of Directors for the YMCA. Nancy also served on the Mason City Swim Club Board and Mason City Booster Club as a representative for Girls’ Swimming and Board secretary. Nancy and her husband Doug reside in Mason City. They have two grown daughters, Anna and Emily.